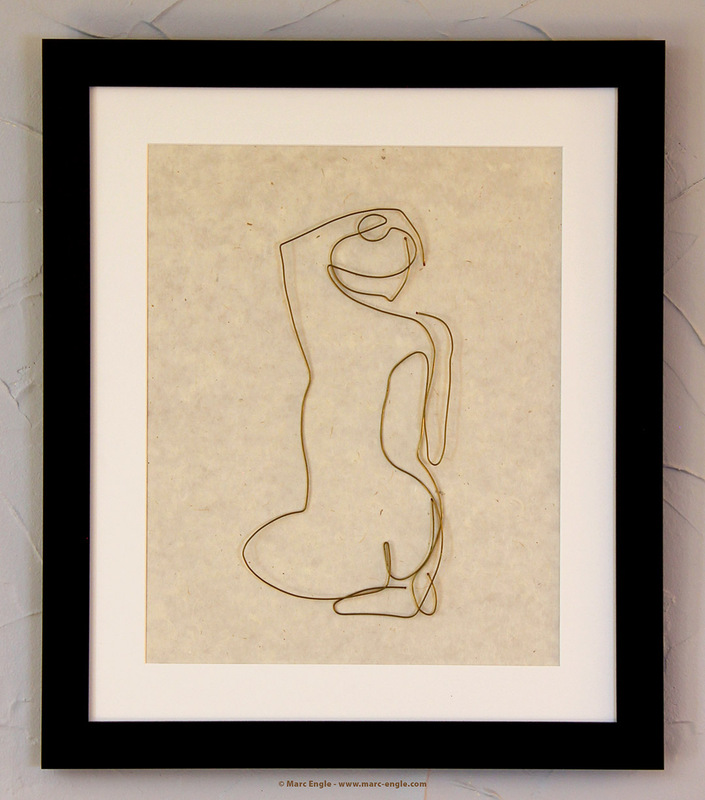 One of my more recent pieces, this “wire drawing” is made of brass wire that I bent with my hands and mounted on a nice piece of custom art paper. The image the wire creates is derived from a drawing I did during a series of figure drawing classes I took in Boulder, Colorado in the fall of 2000. In that drawing’s case, we were instructed to draw the model in a single line with the paper pad behind us while looking at the model, and were told specifically to NOT look at WHAT we were drawing until we were done. We were given one shot at it and had a time limit of 30 seconds. Many years later I got the idea of recreating the pencil drawing with wire, and this was the result.